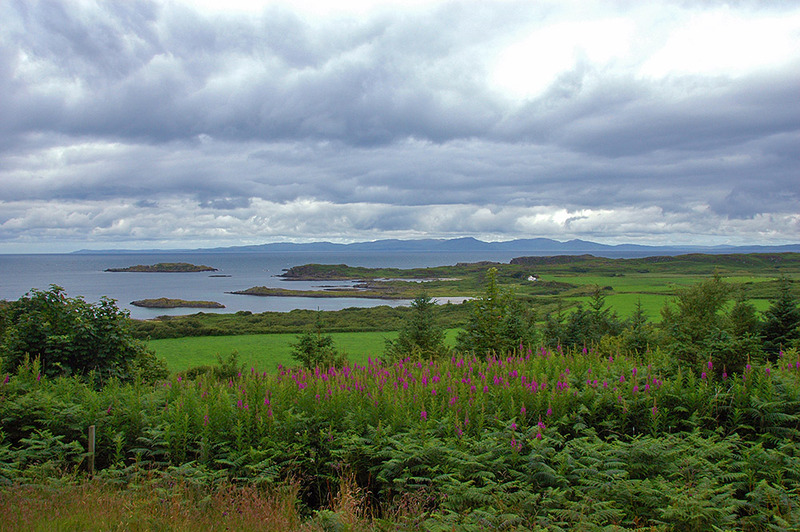 A view west from the viewpoint at Achamore Gardens on the Isle of Gigha. I believe the small island front left is called Eilean na Croise, the larger one behind it Craro Island. And of course in the distance we can see the south east coast of Islay. Unfortunately it was cloudy the morning I visited the gardens (it cleared up later in the day when I was elsewhere on Gigha), but I decided it’s still worth sharing the picture. This entry was posted in Beaches, Cloudy Weather, Gigha Excursion, Landscape, New Post and tagged Gigha, Islay by Armin Grewe. Bookmark the permalink.